It has been almost a month since Bigg Boss 12 was launched, and every day seems to be a rollercoaster ride in the house. One friendship that developed here was of Dipika Kakar and Sreesanth. 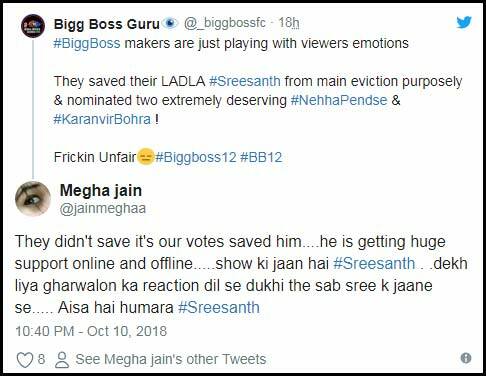 Dipika has always maintained on the show that Sreesanth is like a brother to her and has always stood by him no matter what. Whenever he broke down, it was Dipika who supported him. However, the decision taken by her in yesterday’s mid-week eviction has shocked many people outside and inside the house. 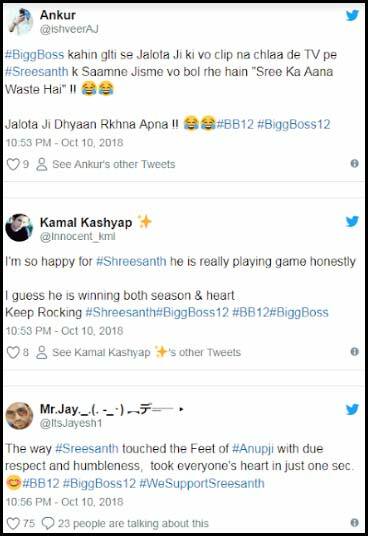 When Bigg Boss asked the contestants to name whom they would want to vote out of the house, she took Sreesanth’s name, stunning everyone, including Sreesanth himself. She chose to save her close friend Neha over him. Viewers have not liked her decision and expressed their anger on Twitter. 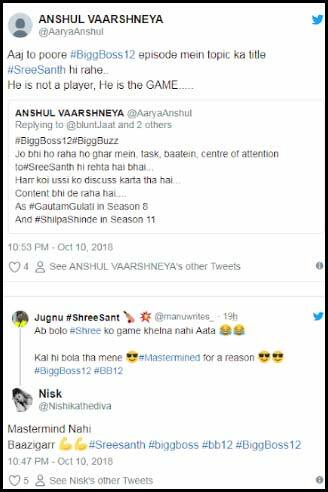 They seem to think Dipika is playing a game and that she saw Sree as a strong competitor. Dipika is one of the strongest contestants on the show, and although many contestants do have problems with her, the audiences liked her. This move seems to have backfired and has not gone down well with her fans.